3936 South Huron Street Englewood, CO. | MLS# 6888525 | Assist2Sell Piele Realty | Full Service With Savings! 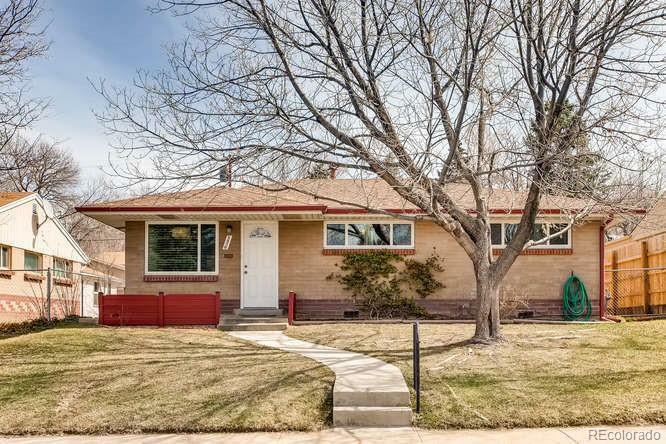 Charming 3 bedroom brick ranch. Bright, open and lots of light! Beautiful gleaming hardwood floors. New paint. New windows. New roof November 2018. New furnace. Charming kitchen with large breakfast area. Abundant cabinet and counter space. Covered patio overlooking fenced yard with big storage shed. Alley access and off street parking. Plenty of room to build a garage. Big crawl space—great for storage. Great location within walking distance to shops, public transportation and light rail. See attached list of upgrades.